It is that time of the week again – time to look back at the most interesting stories we posted over the past seven days. Apple's press event brought a few of them – we were given an in-depth look at the upcoming Apple Watch, while our iPhones were treated to a fresh new software update. Speaking of software updates, Google released Android 5.1 without much fanfare. The update isn't huge by any means, but it is welcome with its new features and bug fixes. By the way, you know what's going to run Android? The LG G4 and the G4 Note handsets. Neither of them is official, but rumor has it that LG is working on these two devices, which are destined to become the company's flagship smartphone and flagship phablet respectively. More on these and other attention-worthy stories from last week can be found in the slideshow below! 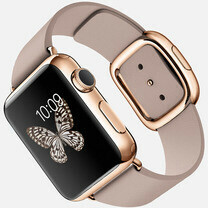 Is the Apple Watch the most personal and intimate device the company has ever made? Yup, quite possibly. After all, no other Apple gadget lets you send your heartbeat to a fellow Apple Watch owner. That's just one of the many features the smart wearable is designed to do. I can also track your activity, bring apps and notifications from your phone to your wrist, make phone calls, and tell the time with utmost accuracy. It won't be cheap, however. The Apple Watch prices start at $350 and go to a whopping $17,000. Wearables aside, this is said to be the LG G4 – the next flagship Android device from LG. Leaked images appear to expose the phone from all angles and even reveal that the handset will have a slightly curved front side. Hardware-wise, the smartphone is expected to bring an upgraded processor, better cameras, and possibly a fingerprint scanner, among other features. Later in 2015, LG may launch a high-end phablet as well, which could be the spiritual successor to the LG G Pro 2. The new model could be a device with a 5.8-inch screen and a stylus of some kind, according to rumors floating around. After numerous cameo appearances on various Android One devices, Android 5.1 Lollipop is finally as official as it gets. The factory images are already up and available for download. In the new release we find not only bug fixes, but also better support for dual SIM devices and enhanced security features for those times when a smartphone is lost. More below. Speaking of software updates, Apple launched iOS 8.2 to bring Apple Watch compatibility to iPhone owners worldwide. Furthermore, the update improves the stability of several core applications and bring enhancements to the Health app. And this is the HTC One E9, as revealed by the Chinese regulatory authority TENAA. Specs include a QHD display, 3GB of RAM, and, surprisingly, a MediaTek SoC. While this is the white model of the device pictured, obviously, black and gold versions are expected to launch as well. What markets the new phone will launch in isn't clear. If you have an iPhone, this apps should be on your must-have list. HERE Maps delivers free maps and navigation to your smartphone, with directions based on whether you're driving, walking, or using public transportation. All that comes with offline support. You can download maps for major cities, countries, even continents.